Concept and development of SIC UFRGS 2005's visual ID. 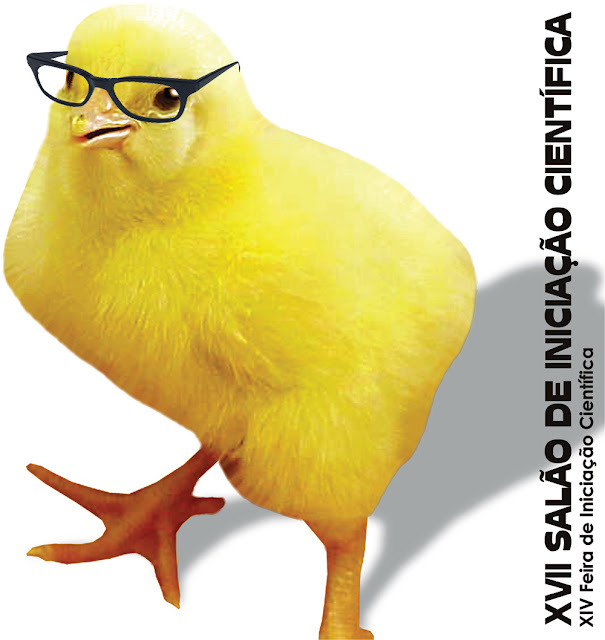 The annual Salão de Iniciação Científica (Scientific Initiation Forum) is a space for the dissemination, promotion and monitoring of research works developed by undergraduate students of UFRGS and other institutions. 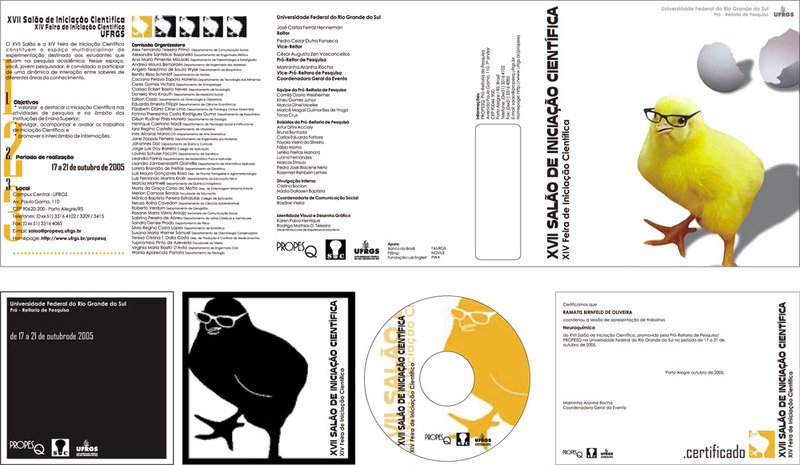 The design includes logo, posters, CDs, books, folders, certificates, letters, flyers, and even water bottles, among others. 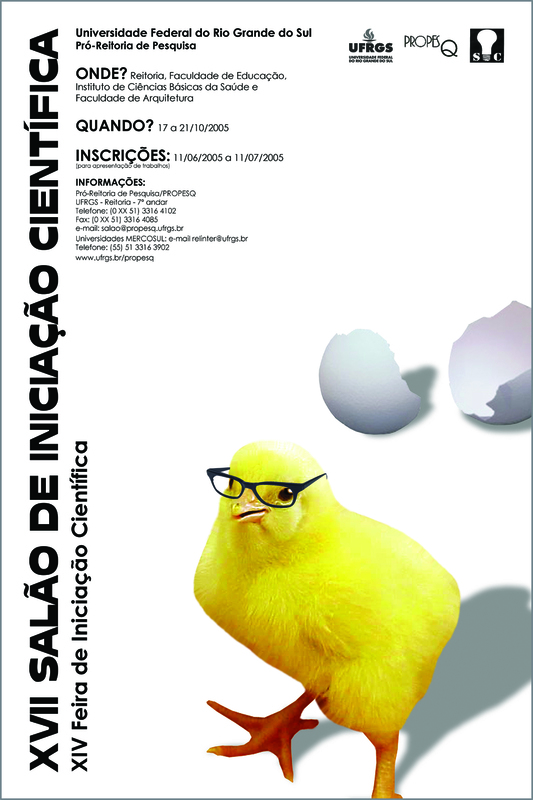 The design’s intention is to impress the passer with an appealing and unexpected, unusual poster: the image of a chick with glasses that walks out of the page. The choice of the illustrative elements was based in the fact that the newly hatched chick gives the idea of commencement and overcoming. The dawn of life as an initiation. The glasses, on the other hand, refer to the collective imagery of intellectuality and are linked to the idea of scientific thinking. Hence, three basic elements are represented in the poster: thinking, the new and the original, referring to the event’s theme, which displays through the university students’ intellectual production their full potential of ideas and actions. The breezy poster design is intentional. 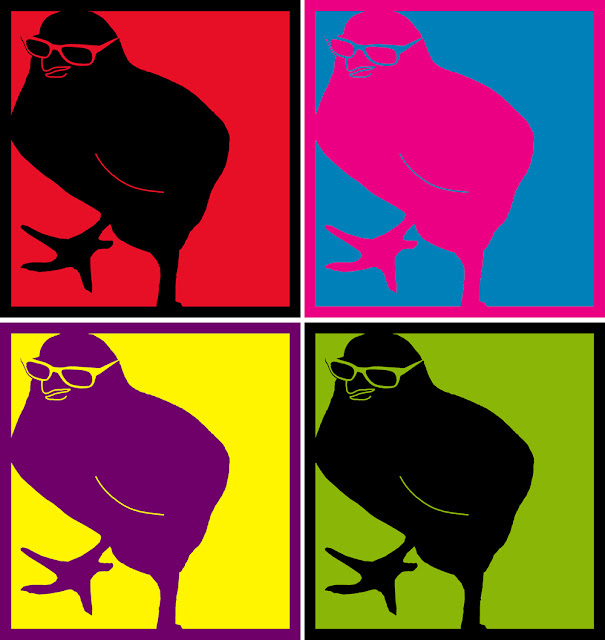 Fleeing from a more traditional character, it is expected that with this proposal, the irreverent image calls attention to the event, giving greater visibility to it.